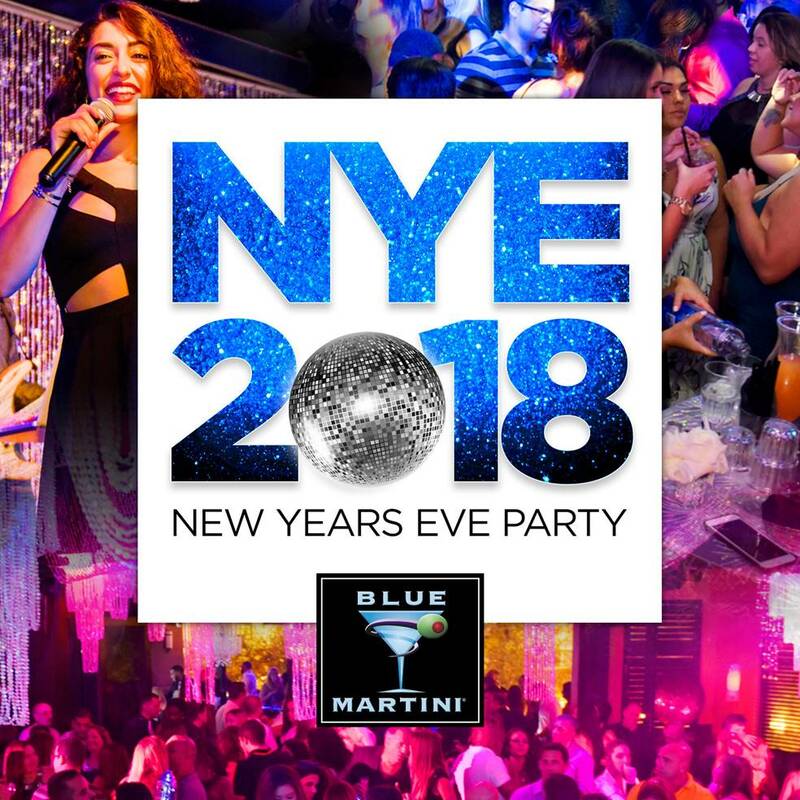 Get ready to ring in 2018 at your favorite upscale nightclub – Blue Martini! All of our locations will be hosting New Year’s Eve celebrations on Sunday, Dec. 31! Doors open at 8 p.m. and you can expect an exciting evening including a countdown to midnight, champagne toast, party favors and entertainment all night long! Table packages are available. Click HERE for more details so you and yours can have a Happy Blue Year! With several locations in Florida, as well as Arizona, Texas, Las Vegas, and Louisiana – Blue Martini always has something hot going on. With the look of an upscale lounge and the feel of a neighborhood bar, Blue Martini is known for our extensive menu of craft cocktails – including our signature martinis – happy hours and entertainment.